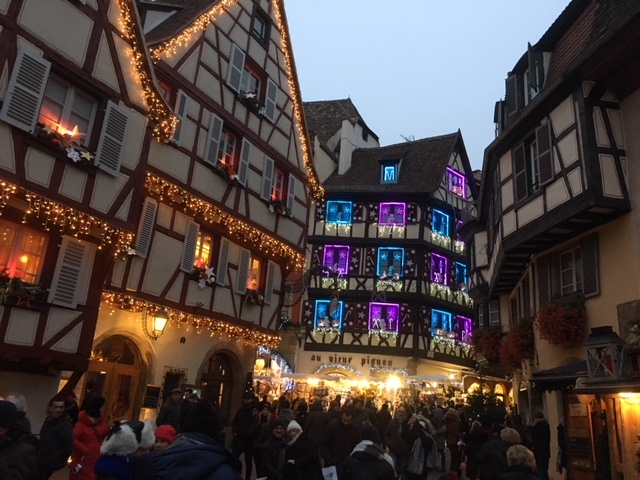 If your travels being you to France during the winter, a must see is a French Christmas market (Marché de Noel) and there’s nowhere better than than the Alsace for such a magical experience. There are a number of towns you can visit, but high on your list (as was ours) should be the picture-perfect town of Colmar. Here, not one but five Christmas markets, intertwined among its medieval streets, canals & brightly coloured buildings, provides the most magical setting during the cold crisp December days & nights. The sparkling lights; smell of hot mulled wine & freshly baked pretzels; the festoon of lights & decorations on all the buildings create a wonderful atmosphere for young & old alike. The small wooden chalets that make up the market are filled with wonderful Christmas gifts – wooden toys, ceramics, handmade glassware, hand knitted woolens – not to mention a vast array of culinary delights and regional specialties. 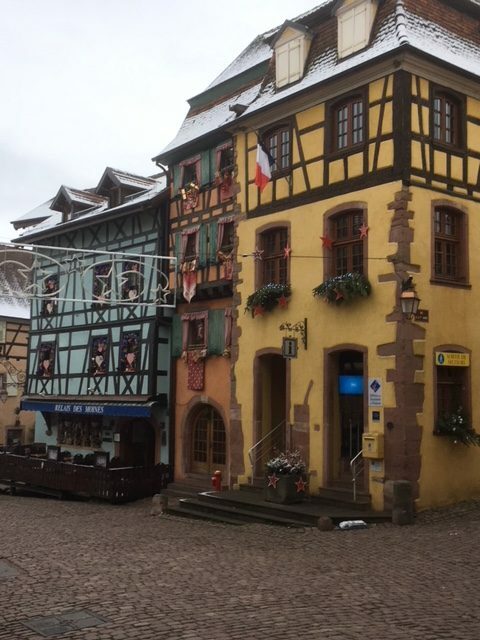 Just outside of Colmar (a 15 mins drive) sits the villages of Kaysersberg & Riquewihr. Surrounded by the vineyards (wonderful Pinot Noir & Rieslings come from here! ); these are small villages and a slice of true Alsace. Riquewihr’s one main street, set on a hillside, is beguiling. And if your time here allows, a visit to one of Europe’s largest Christmas Market’s in Strasbourg is just just 30 mins from too. The majority of the markets commence the last week of November and run until New Year’s Eve. 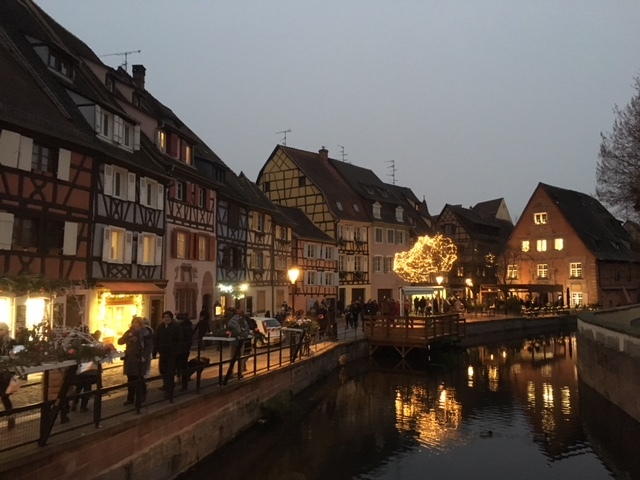 If you are planning a visit for this year, or even planning ahead to 2018 there is a great website for the Colmar & Strasbourg packed with helpful information. If you would like to pick our brains about where to stay & what to see, please email us and we will be glad to help.